Truth be told, this little space has just been neglected recently! Anytime I have free time ((read: nap time)), I either need to fill orders or do things around the house. Once Knox goes to sleep, I either want to go work out and/or just spend time with Chase. Don't write me off, just yet. 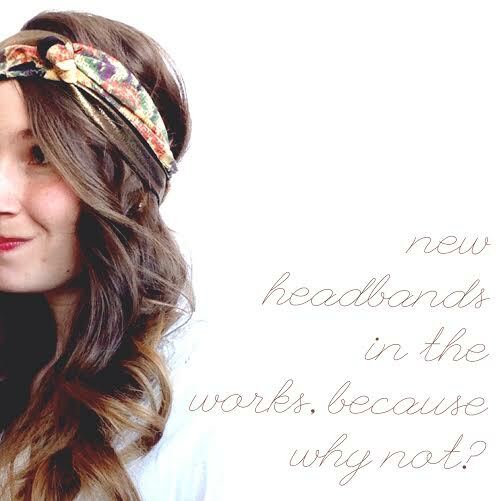 This morning, my free time consisted of taking Knox to the studio and coming up with a few new headband designs. Here is on of them…it still needs to be tweaked a bit! 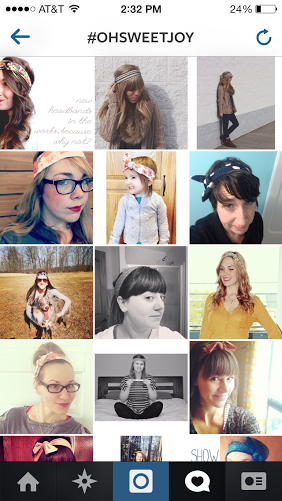 Speaking of headbands, if you are on instagram and have an OSJ headband, you can post a photo of you with it, hashtag it with #ohsweetjoy and you can be entered to win a $25 store credit! Hop to it, I'd love to see how you style it :) Here are some of the entries so far. Someone needs to charge their phone! LOVE that one! The fabric is adorable! I wasn't expecting to see my head on your blog today. Haha, cheers! Bonus ((Outfit Schmoutfit)) + a Giveaway!